This adorable dress is your new best friend for date night or afternoon parties! We love the classical striped and a line detail. Pair it with wedges and a statement necklace to complete the outfit and you'll be ready to hit the town! Came quick. Love everything about this dress! 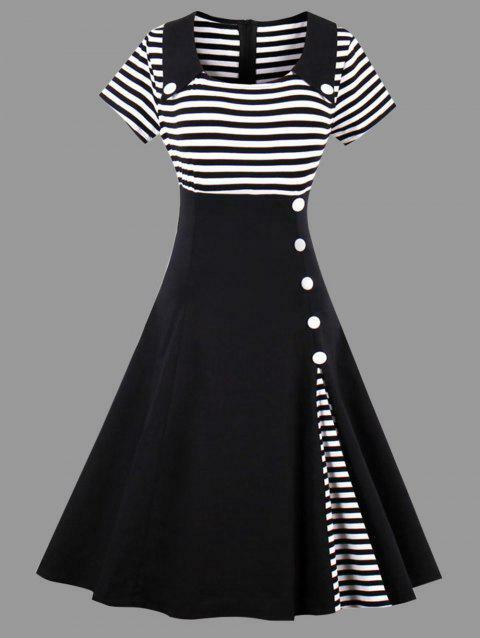 Q:Do this dress come In regular sizes such as small medium and large? Sorry, the smallest size is 2XL.